It's possible to become a practicing lawyer without going to law school in some states. Most lawyers do attend law school, but there are some advantages to avoiding it if you can manage it. You'll avoid the high cost of law school and perhaps gain more on-the-ground experience shadowing a working lawyer. Working as an apprentice in a law office was how most people became lawyers in the United States centuries ago. The date of the first law school in the United States is debated, but the general consensus is that it was sometime during the late 1700s. We had lawyers before that time, however. Where Can You Become a Lawyer Without Law School? 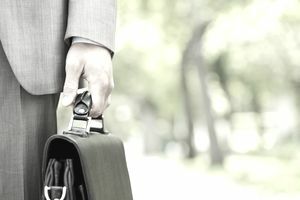 Pick your location carefully if you want to become a lawyer without going to law school. Only four states—California, Vermont, Virginia, and Washington—allow potential law students to skip law school entirely. Three others—Maine, New York, and Wyoming—require some law school experience, but they allow an apprenticeship to substitute for one or two years of law school. Each state's exact rules are different. In Virginia, for example, a legal apprentice cannot be paid by the supervising attorney. In Washington, they must be paid by the attorney. An apprentice is typically required to work a certain number of hours in a law practice each week for a given number of weeks. Some hours must be spent under the direct supervision of an attorney, and a certain number of study hours are also required. The mentoring attorney must meet a minimum level of experience in all states, ranging from three years in Vermont to 10 years in Virginia and Washington. Legal apprentices in California are required to pass the First-Year Law Students’ Examination, or “Baby Bar,” to continue with their studies and sit for the actual bar exam. This exam is quite difficult, has a very low pass rate, and is a formidable obstacle. The most obvious benefit of becoming a lawyer through a legal apprentice program is avoiding the high cost of a traditional legal education, which most students finance with student loans. Of course, some of this cost can be offset via law school scholarships, but the harsh reality is that many law students graduate with more debt than they can comfortably pay back. This can limit their career options. Other potential benefits include learning law in the community instead of going away to school. Given that rural areas tend to face a shortage of lawyers, setting up apprentice programs in these locations can be a good way to keep ambitious local students in the community and working on local legal needs. Finally, it's indisputable that the average legal apprentice will have more hands-on experience than most new law school graduates. At most, the average law grad has done one clinic and perhaps a handful of summer jobs, internships, or externships. Most of a student's time is taken up with classes, particularly in the first two years. It's critical to decide where you want to live long term before entering an apprenticeship program because you probably won’t be admitted to practice in any other state. And potential clients and employers might be reluctant to hire anyone who didn't go to law school simply because it's so unusual. Finally, the reality is that it's hard to pass the bar exam without at least some law school experience. Although not impossible, the pass rates are low. It’s risky to spend years as a legal apprentice if you never manage to pass the bar exam. In fairness, however, this is also an issue faced by students of non-ABA-accredited law schools and even some ABA-accredited ones. Should a Paralegal Go to Law School? Will Bad First Semester Law School Grades Tank Your Legal Career?